On March 3, 2017, Liberian superstar, Quincy L. Borrow aka Quincy B, died from a car accident, on his way from KARAOKE NITE, in Monrovia, Liberia. The artist was pulled out of the damaged vehicle and rush to the JFK hospital. Quincy B did not survived. Few hours before his death, the artist was spotted live on snap chat, singing Karaoke. Quincy B who was the driver of the car, died immediately. Artists CIC , Margas Bimba and Feouls Kaba in the vehicle, as well, they are at the hospital, being treated. CIC broken his legs in the accident. CIC and Quincy B are nominated for the Liberian Entertainment Awards 2017. So sad for an upcoming talent!!! My deepest sympathy to his family. RIP brother. Rest on son you will be missed. If this is a real news. Then is too sad for the LMI. 1. This soul was too young to go n leave all his good work behind �������� RIP bro you gone soon ��. my heart go out to his family, friends,fans and the LMI as well.. This is saddening... great voice! Rest well. Na this can't be true..
Liberian we need to pray for our life. You know the day you where born but not the day u will die. May ur soul rest RIP in Quincy. I am ur fan and friend ur memory will always in my heart till we both meet in Heaven. This is really sad to hear! The kind of driving along the Tubman Boulevard and other highways coupled with the narrow stretches of roads in Liberia is horrible. 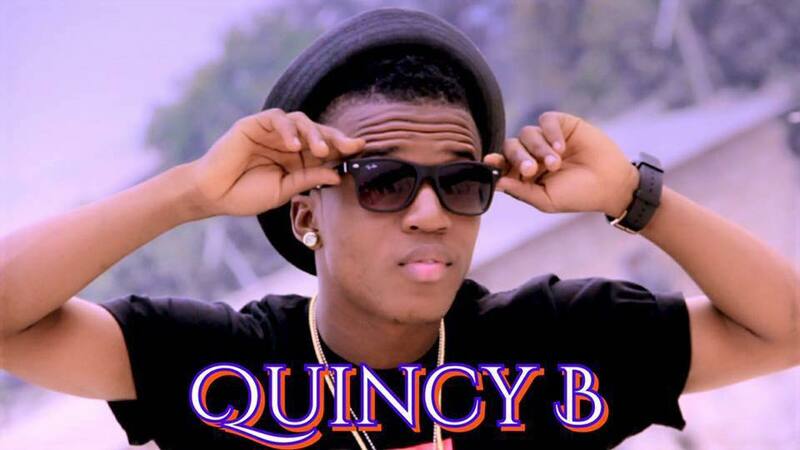 This has led Liberia to loose a star like Quincy B. What a loss! Adieu, born star of LIB. Is it true that nothing good can come out of liberia? It's the curse upon this country that took you away. RIP Superstar. Oh my God, Bro RIP.....until we meet again. An amazingly talented young man with a powerful message. I pray that he rest in Yahwehs care. How can this be published yesterday March 2, and says he died 3rd of March when it also says he died instantly? Confused! omg. this is unbelievable..when is his burial? So so saddened to see this youthful and energetic young talent is no more. Rest in peace Quincy!! Rest in perfect peace my dear hero. We miss you and will alway. Dame! Great artist, LIB standing, your shoes are without feet bro. It would have been better you never came than to go like this. Prescrit dans le cadre d'une discopathie protrusive très invalidante, j'ai Acheter Tramadol en Belgique sur le site pharmacielasante.com, et c'est le seul médicament qui m'a soulagé presque immédiatement couplé à des séances d'ostéopathie. Aucun effets secondaires sur moi. A utiliser avec modération.